EE has come out on top and Vodafone last in one of the UK's most comprehensive tests of mobile networks. Mobile measurement firm RootMetrics conducted over 840,000 checks, ranking operators for reliability and speed of voice, data and text services. While EE dominated for speed, Three was a close second in terms of reliability during last year's six-month study. Vodafone said it could not "take the results of this report seriously and neither should our customers". Evidence suggested some tests were "carried out in an inconsistent manner", it added in a statement. O2 ranked second in the speed index, but its reliability score was lower than that of EE or Three in the tests. Each operator was rated out of 100 in a range of categories - overall performance, call performance, mobile internet, text, network reliability and network speed. EE performed best across all categories, with Three second in terms of mobile internet, text services and network reliability. O2 came second in the call performance and network speed categories. Vodafone was last in all categories other than network speed, where it beat Three. Average speeds for networks were not given because they ranged so vastly from area to area, RootMetrics said. Neither did the study offer details about network coverage and mobile hotspots, although consumers can look at individual network performance at street level via its coverage map. 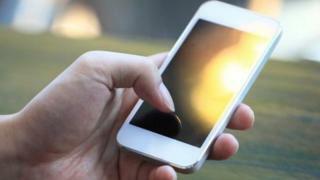 EE said the results showed it gave "customers everywhere in the UK the best mobile experience", partly because of its investment in new 4G services, greater 3G capacity and upgrades to 2G networks. Three said the study was "carried out prior to our launch of 4G at no extra cost, so is not up to speed with our current performance". Rootmetric's tests saw data scientists cover a 23,000-mile area of the UK, including urban and rural locations, with 1,000 indoor tests. They used off-the-shelf Android devices, which had the testing software installed on them. Rootmetric's Bill Moore said the aim of the testing was to get as close to a consumer experience as possible, across a range of metrics. "It is all very well to test speeds, but if you can't get on the network then the speed becomes irrelevant," he told the BBC. Futhermore, he said that while all networks faced the issue of dropped calls, it was a much bigger problem in the UK than in the US, where the firm has also been conducting tests. "Networks here have a 2% failure rate compared to 0.5% in the US," he said. Matthew Howett, an analyst with research firm Ovum, said that EE's win in this particular study represented a return on huge recent investments in coverage. "Clearly, EE scores very well and this reflects both their strategy of wanting to continue to be one step ahead with their network and the money they have put behind it," he said. "While Vodafone doesn't score so well in comparison, they shouldn't be written off. "They too have ambitious plans for network upgrades which are being delivered through 'Project Spring'. However, for the rest of the industry to close the gap on EE in terms of network speeds and availability, it is not going to be without a struggle." Mr Howett added that consumers may want more detailed information from future surveys. "I suspect many will be looking for this specifically broken out for 4G network performance as they are being enticed to upgrade by their operators," he said. Communications regulator Ofcom is planning its own UK-wide mobile survey and will shortly publish quality of service information to help consumers compare the performance of mobile networks and to encourage providers to improve.